The story of France through her people, culture and the great events that shaped her. When we think of France, we tend think of fine food and wine, the elegant boulevards of Paris or the chic beaches of St Tropez. Yet, as the largest country in Europe, France is home to extraordinary diversity. 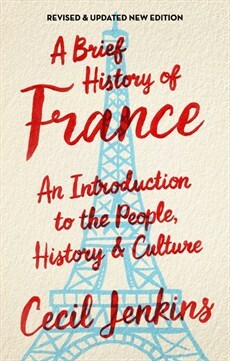 The idea of 'Frenchness' emerged through 2,000 years of history and it is this riveting story, from the Roman conquest of Gaul to the present day, that Cecil Jenkins tells: of the forging of this great nation through its significant people and events and and its fascinating culture. As he unfolds this narrative, Jenkins shows why the French began to see themselves as so different from the rest of Europe, but also why, today, the French face the same problems with regard to identity as so many other European nations.